Canada has a proven commitment to keeping our border safe and efficient. 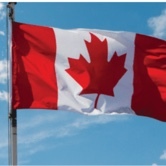 Canadian law enforcement agencies use the latest and most advanced technology, including ground sensors, cameras, radar, and license plate readers to monitor the border and keep both Canada and the U.S. safe. Our ports of entry are secure. We jointly manage the border between official ports of entry, and Shipriders patrol our shared waterways. We also share information and intelligence so law enforcement in both countries can make decisions before foreign travelers arrive. Almost all visitors must have a visa, permit, or Electronic Travel Authorization before boarding a plane to, or transiting through, Canada. An Entry/Exit system tracks most travelers coming into and out of Canada, and we have expanded our biometric requirements. Canadian Border Services Agency officers are on the front lines combatting trade in counterfeit and pirated goods, including illicit narcotics and opioids. Officers can inspect and destroy suspicious packages that pose a risk to health, safety, or national security. Our ports of entry are secure. Like Americans, Canadians are struggling in record numbers with the consequences of problematic opioid use. In response, Canada and the U.S. are working hand-in-hand to address the importation of illegal pharmaceuticals. We have given our customs officers additional resources and authorities—they can now inspect postal packages under 30 grams—to stop illicit drugs from entering Canada and to destroy them. We have also made it harder for drug dealers to mass produce counterfeit pills using fentanyl, disguised as legitimate prescription drugs. 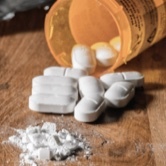 Every pill press or encapsulator imported into Canada has to be registered with Health Canada, preventing uncontrolled imports of devices that can be used to manufacture illicit drugs and perpetuate the opioid crisis. And, our public safety and health agencies are working with the U.S. to address the epidemic of opioid-related overdoses through the National American Drug Dialogue—hosted in Canada this year—and other forums. These efforts are paying off. Our border infrastructure keeps the U.S. and Canada secure, and it facilitates a daily flow of goods and people. Programs like preclearance contribute to this efficiency. 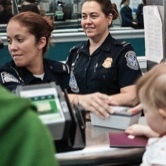 In fact, Canadian airports have hosted U.S. Customs and Border Protection officers to clear passengers before they enter the U.S. for over sixty years. Work is underway to expand preclearance to additional ports of entry and cargo. For more information, please visit the Canada Border Services Agency website.